I purchased the Freedom stick about 2 months ago, but only started to use it yesterday. It worked every time I checked it throughout the day, disconnecting the connection in between. I am using Ubuntu Linux 14.04. This morning I tried to connect, it said it was connecting, but I couldn't get on the internet. I then loaded the Sprint software on a Win 7 box and ran that. It too would also connect, but it only would go to a "Sprint Activation" page. Whats going on? According to the notice you displayed, I would say you were on a free plan and have used all your free data. Free plans for the USB Modems do not include 3G. You must upgrade your data plan to one that includes 3G. Nope, I've used 197 MB of 500 MB. It works on day one, but not on day two. And it is actually charging me data usage even when I can't connect to the internet. @Paul Schmidt It appears you aren't on our 3G plan. Please upgrade to resolve this issue. That makes no sense. I am connecting via 4G, which I did on the first day. My Freedompop phone connects via 4G, no problem. A device advertised having 500MB free should not be required to have a pay plan. I was going to consider a pay plan if it worked consistently, but now I have serious reservations. OK, If I have the correct understanding of the lights, it may have never actually connected to the 3G network. The only light that has ever lit up is the 4G one. And before anyone asks, I do have 4G coverage in my area. You guys were correct about needing a 3G plan. I'll admit it, I was wrong. What was misleading is that the 4G the Freedom Stick uses is 4G WiMax, and not 4G LTE. I have good coverage for LTE, but none for WiMax. I subscribed to the basic 3G/4G plan and it works again. What I don't understand is why it worked for the first day. Hi, Paul. I have the same USB stick, 250U. However, I failed to get connected. How did you set it up? I just manually created a "Sprint" mobile broadband, with dial number #777, no luck so far. I have the same problem. Except I know for sure we have Wimax coverage because I have another 250u and it connects perfectly fine, whereas my first 250u says connected to 4g on the Sprint smartview menu, but then accesses nothing if I don't have another internet source. HELP! 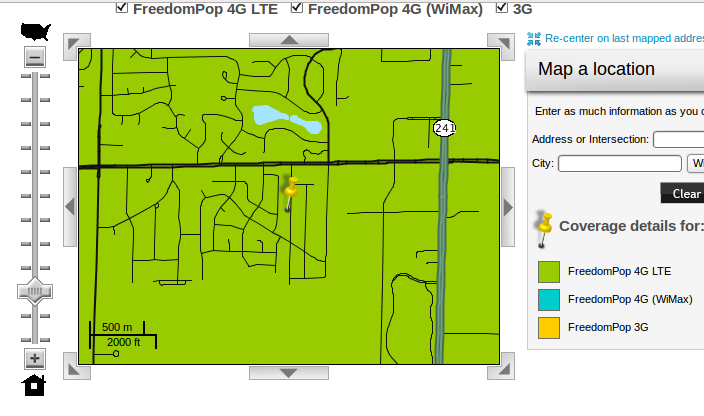 I have a PM in to Jay_FreedomPop from another thread May 23 but no response yet. This first 250u worked fine a month or 2 ago, maybe the account needs some kind of refresh/reactivation? My 250u used to connect a month or 2 ago but not anymore. 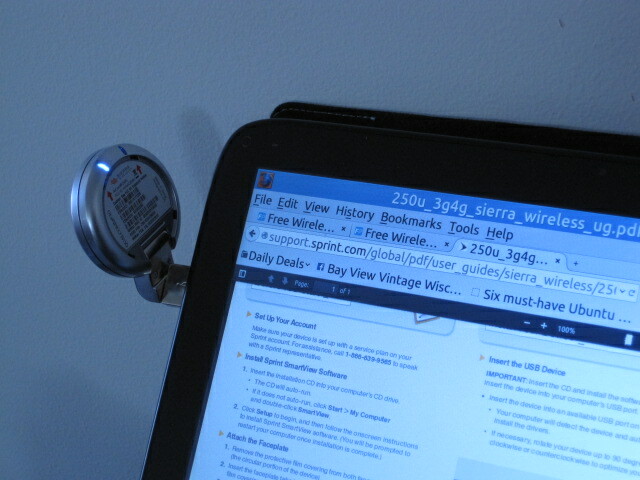 We have a 2nd 250u in the house and that one connects fine, so we have a usable wimax signal. Maybe my device needs a reactivation/refresh? PM in to Jay_FreedomPop from another 250u thread sent May 23, no response yet. I did the same thing as you. I don't know what version of Linux you are using, but I have Lubuntu. There should be a network icon in the taskbar. Right-click on it and make sure "Enable Mobile Broadband" has a check next to it. Then you should be able to click on the "connect" selection for the Sprint connection. I'm not sure, but I believe they give a one month trial for 3G. That would explain why it worked at first, but not later. As for the Sprint application, it's not used in Linux. To fix your problem I would recommend using Linux instead of Windows.